Combat Cancer Base Camp - Welcome! Well, hello Friend! We've been expecting you. There has been so much activity going on here at the Combat Cancer Base Camp preparing for your visit. Whether you've come to base camp to register your Soldier or simply wandered on base to learn more about An Army Like No Other - whatever brings you here, my friend, we welcome you with open arms. If you haven't registered your Soldier yet, proceed to the Registration Tent for this one-time painless process. Now, chances are you received your Soldier as a keepsake from a friend or loved one who wanted to give you something to hold on to, a token of encouragement. Well, this Soldier is just that - he represents the courage, strength, and determination necessary to defeat the enemy. And, of course, the enemy is cancer. 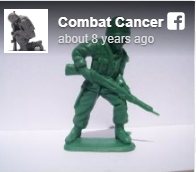 Your Soldier is hope in the hands of a cancer patient and a reminder, to all, that our forces are preparing to launch a major assault against the enemy with a campaign designed to raise funds for cancer research. So, you see, the little Soldier, like the one you have, is vital to the success of our mission. 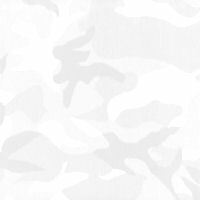 In addition to our Soldiers and other inspiring gifts in the Combat Cancer Collection, we have created this base camp where we have granted you free access. It's not only a place for troops to gather for friendship and support, look over our "Combat Gear" and, of course, register your Soldier. Once your Soldier is registered, he will forever be "on active duty" standing united among all the other Combat Cancer Soldiers on our interactive map. I'll be there from the start. This Soldier from the heart. Your Soldier can be held during and after a grueling chemotherapy session. He can tag along to all doctor appointments and stand guard during the long nights. He'll rely upon you to give him his name, rank and a place to call home. In return, your Soldier offers the promise of his never-ending support. He is the centerpiece of this fundraising campaign and will soon be delivering his message all across the country. Your Soldier is a loyal and trusted companion who has come to your aid.